This Etsy shop makes bath bombs based on fan-favorite horror films. 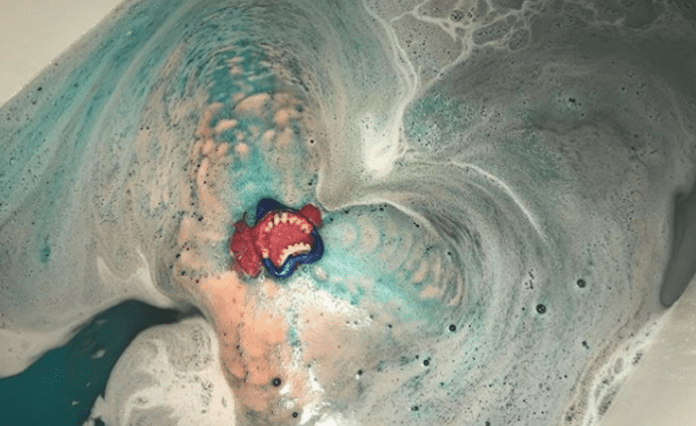 Bath bombs and horror movies are two of our favorite things—and one Etsy shop has combined our loves to create a thing of our dreams—horror movie bath bombs. Yes, you read that right. There are bath bombs based on our favorite movies: IT, Jaws, Silence Of The Lambs and more. Finally, we can take baths that are more our aesthetic—dark and scary. If you really want to be the most extra ever, you could take a bath with one of the bombs and watch the movie at the same time. Nothing ever sounded so relaxing. The Etsy shop Bubble Mania makes the bath bombs, and not only does horror movies but some of our other favorite movies and shows, too. You can buy bath bombs based on Harry Potter, Jurassic Park, Pokemon, Alice In Wonderland and more for less than $10 each. The shop even makes a “Witchcraft” bath bomb set that we are dying for. Move over, bright pink bath bombs—we have some new favorites to try. Check out some of the amazing selections below, and get your wallets ready and your bath tap running. If you want to see more, you can scroll through Bubble Mania’s Instagram for a few hours. What do you think of the horrifying bath bombs? Let us know in the comments!